Watch San Antonio Living on Tuesday, July 31 for a live interview with me as I talk about I Can Handle Him! Link to watch online is here. I'll also be giving away a complete set of of my novels - all five! San Antonio Living airs at 10 a.m. central (11 a.m. eastern). I'm adding a print book giveaway to the blog tour for I Can Handle Him! Ten print copies for ten lucky Goodreads winners! To register to win, click the link below. Deadline is Monday, July 30th! Good luck! Giveaway ends July 30, 2018. Is Daniel Your Favorite Character In I Can Handle Him? He is to blogger Nancy Famolari! Read her review of I Can Handle Him on her blog. And if you haven't met Daniel yet, read more about him here. And thank you, Nancy, for reviewing! There ARE some awesome food scenes in I Can Handle Him and while some are left craving the cinnamon rolls or the cookies, Vivian at The Book Diva's Reads was left craving tacos! Tacos are, after all, the favorite food of one of our main characters, Daniel. Read her review on her blog. And thank you, Vivian, for the review! Our blog tour continues with a freebie! Visit Teddy Rose Book Reviews Plus More for a chance to win an I Can Handle Him print book! And thanks, Teddy Rose, for the giveaway! 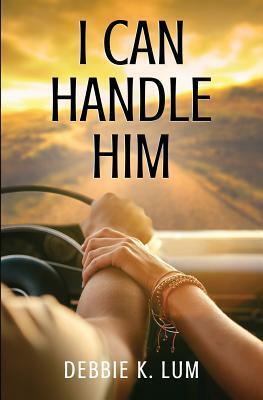 Read the full review of I Can Handle Him on the Girl Who Reads blog. Read For Free: Chapter Three! ​Read the excerpt and visit her blog here.